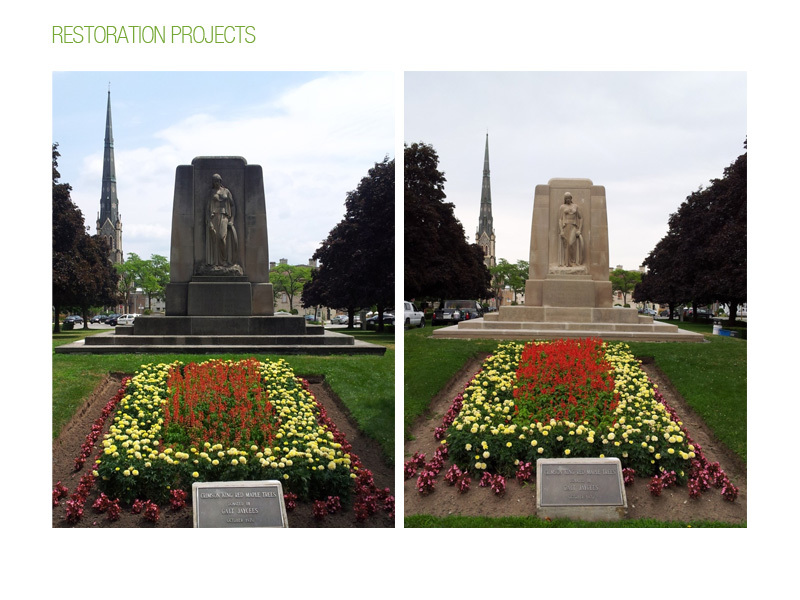 In 2012, City of Cambridge officials contacted Memorial Restorations to discuss the scope of work required to repair and restore the 80+ year old Galt Cenotaph - a monument to those who lost their lives in WWI, WWII, and Korea. Restoration of the 40-foot limestone structure included warm water, low-pressure, and hand-washing coupled with masonry repair and mending. As well, we installed a drainage ditch around the entire structure.